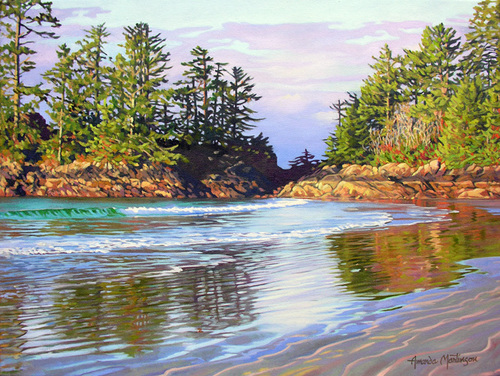 From gorgeous Chesterman Beach near Tofino, Vancouver Is. Available as limited edition print. 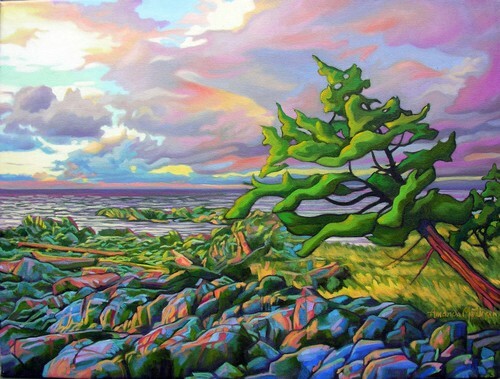 I love painting colourful and interesting rock formations and love rockhounding in the interior, especially around the Churn Creek protected area. 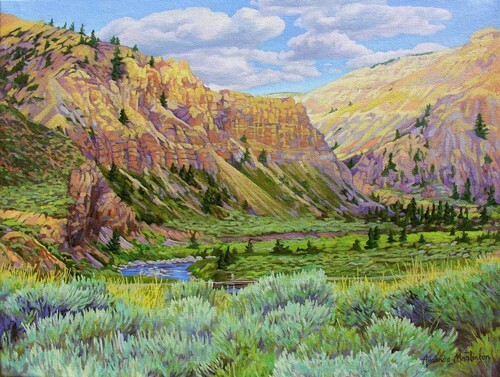 I also paint the American southwest landscape. A spectacular sunset and colours after a winter storm near Kiddie Pt. 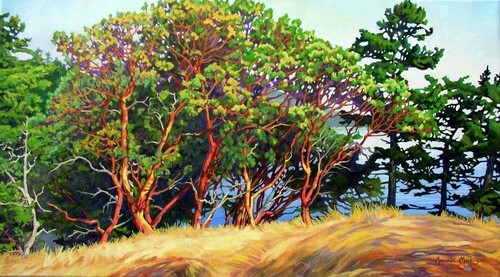 on Texada Island - my favorite kind of subject matter. 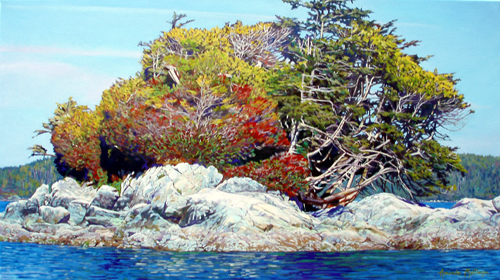 From the Shingle Beach area on Texada Island - sinewy arbuti atop a cliff.